Moving To Full Time Dementia Care - The Hardest Decision of Your Life? 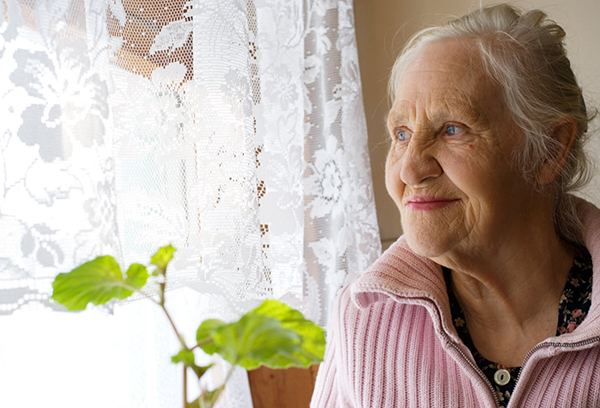 If you’re reading this you are facing one of life’s toughest decisions – to put your loved one ‘into care’. Perhaps it’s come to a crunch point where you realise that you can no longer cope. After all caring for someone with dementia is physically and mentally draining. Or perhaps something has happened to make you realise that they need full time 24 hour care and supervision and that it’s no longer practical for you to provide it. Whatever the reason you may well be struggling with your conscience and feel that you are somehow letting them down. Or maybe you feel that they won’t get the same love, care and attention that you give them. The thought of moving into full time care can also be a big worry your loved one. They might be afraid they'll no longer be in control of their own lives and be scared of moving to a completely new place where they don’t know anyone. They may be concerned that they won’t like the food, that they’ll have no privacy and won’t be able to continue to do the things that still bring them pleasure. If this is how you and you're loved one are feeling, we can help. Choosing the right care home for your loved one is a vitally important decision, especially when they have dementia and may not be able to make their own views fully clear. We believe at Lumb Valley Care Home we have created the ideal place for those living with dementia to experience the very best in life. We have a dedicated dementia wing - We have a section of the home which has been specially adapted to make it dementia friendly. This means you're loved one will settle in quickly and comfortably, not suffer the distress and confusion a new location would normally cause. Tranquil rural location - We can't prove it, but there's just something about being in the countryside surround by natural beauty that seems to bring calm and genuine peace of mind to those living with dementia. ​We don't use agency staff - Having a complete stranger come in all of a sudden to look after your loved one when the person they you know like and trust if off work can be extremely upsetting, especially when they have dementia. We have regular local cover staff who will very quickly become familiar faces so that when we need to cover for staff absences there will be no distress to your loved one. ​Small home with a genuinely homely feel - Large corporate 'Travel Lodge' style care homes make look impressive on first inspection. They do come with some significant drawbacks though. - They aren't like your loved one's home. Think about it from your loved ones perspective. Surely they'll want to live in a place that looks and feels like their own home, rather than a hotel? - They are so large the staff can't possibly get to know all the residents and understand their unique requirements properly. The small size of Lumb Valley means our staff will get to know your loved one really well and truly understand exactly what they need to provide the deep level of care that we're known for. Your loved one will be cared for in an award winning care home - Lumb Valley is rated by our residents & families as the fifth highest in the whole of the North West England region and the No.1 locally. We hope this brief description has given you a good insight into life at Lumb Valley and how it can help your loved one with their dementia. If you have any questions or queries please don't hesitate to call us on 01706 300071 or click on the button below to send us a message. However, the only way to really know if Lumb Valley is right for them is to come and visit. You don't need to make an appointment and are welcome to come anytime to take a look around and have a confidential chat about your requirements. Please do call and make an appointment though if you'd like to discuss your requirements with the Home Manager when you arrive. Either way we look forward to meeting you! P.S. Lumb Valley is very popular though and we often have a waiting list. Please​ call before setting out to visit to make sure we have places available. We hate for you to get here only to be disappointed.